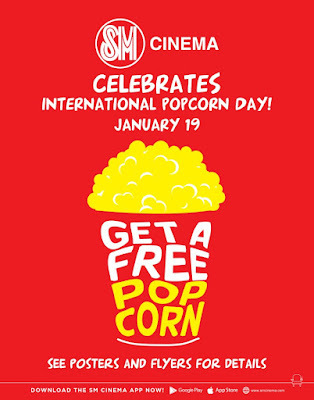 SM Cinema honors America's time-honored treat on the International Popcorn Day observed every January 19th. Popcorn Day is the best day to organize an impromptu movie date just to enjoy a tub of crunchy plain, salty, savory or buttery popcorn. In celebration of this year's International Popcorn Day, free popcorn were given to lucky movie buyers in all SM Cinema branches nationwide! 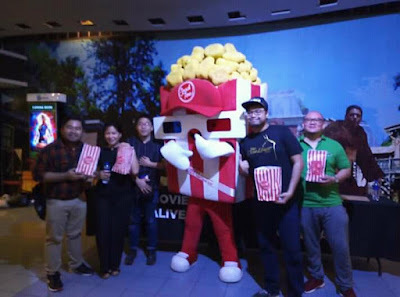 I joined in the festivities at SM Cinema Megamall to show my love for popcorn along with the other bloggers. We cheered on popcorn eating contestants as munched their way to victory! 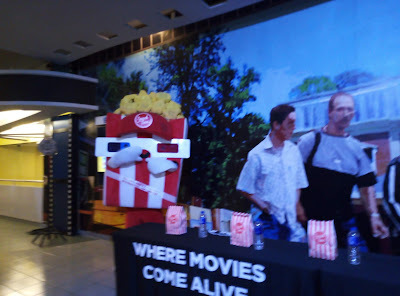 Snack Time’s resident mascot, Poppy the Popcorn, was also there to lead the celebrations at SM Megamall early in the day! Together with the fambam, hurry on to the nearest SM Cinema branch near you this Saturday! Snack Time is the official food concessionaire of SM Cinema that offers a wide array of affordable snacks, such as popcorn in exciting flavors, hotdogs and burgers, among others. Choose from their selection of cinema favorites and bring your favorite popcorn snack to complement your next movie at SM Cinema! Book your tickets through the website, www.smcinema.com or download the SM Cinema mobile app. 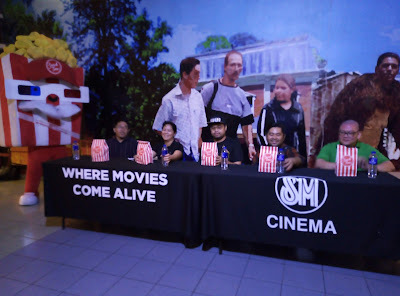 Do follow /SMCinema on Facebook and @SM_Cinema on Instagram for updates!